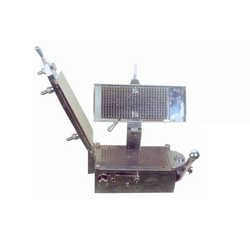 We are committed to manufacture and supply a quality range of Hand Filling Machine that are highly durable and availed by our clients at the most competitive prices. Our product range encompasses Auto Polishing Machine, Automatic Capsule Filling Machine and Semi-Automatic capsule Filling Machine. Besides, our products are manufactured by our team with assistance of optimum quality material and utilizing sophisticated technology that is available at are manufacturing unit. Our premium quality of Hand Capsule Filling Machines is designed to serve the need of R&D purpose, small batches trail run for large scale as well as regular production in small-scale pharmaceutical companies. The machine is easy to operate, give production with minimum rejection and no weight variation. It is capable to fill powders, pellets in all size of a hard gelatin capsule.